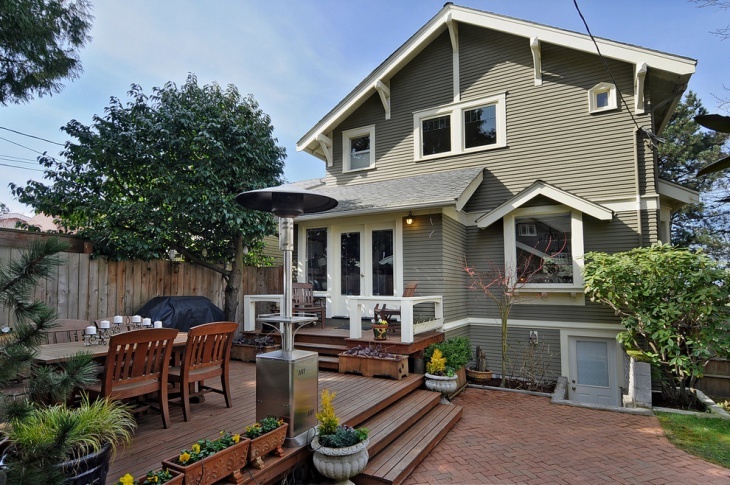 Looking to do more with your yard? 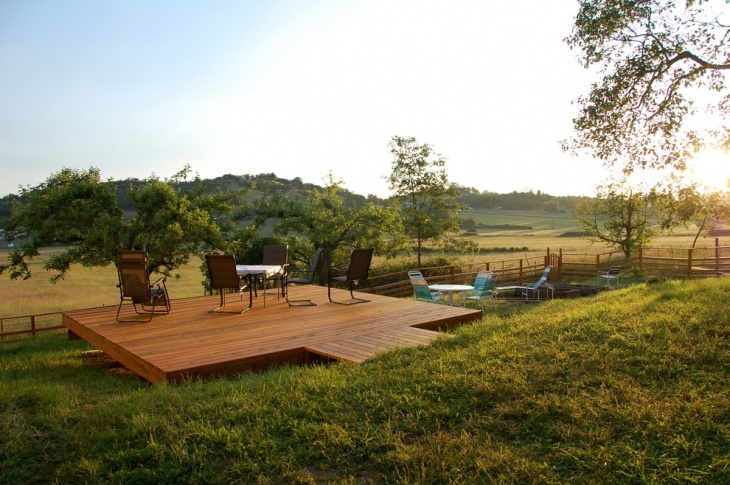 A floating deck was established as a DIY project to provide a unique view of your yard. 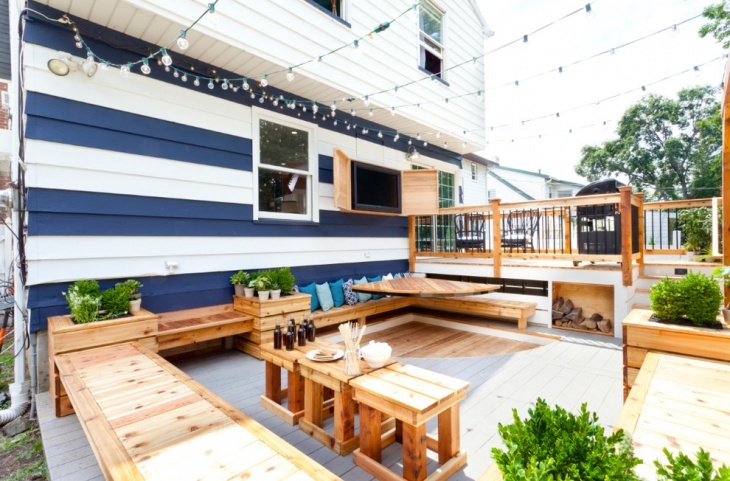 Only a few inches off the water, this platform makes the perfect place to laze in the weekend, have a few beers under the summer sun and enjoy with your close family and friends. 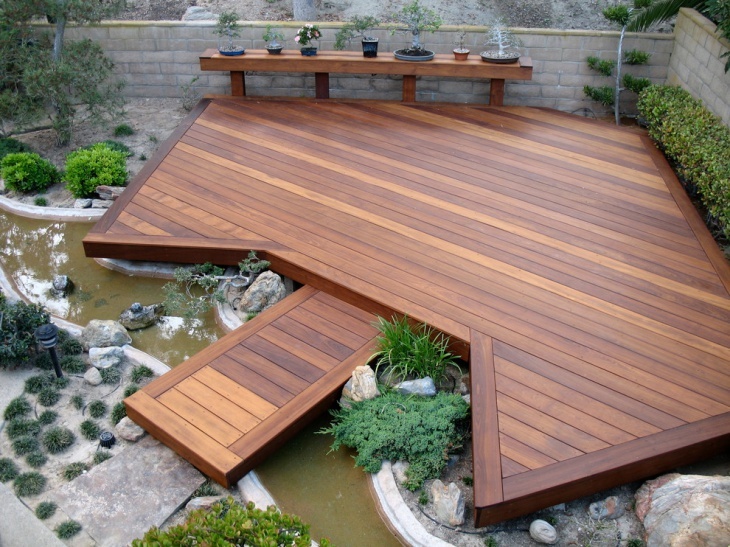 The good thing is that floating decks are quite simple to make and install but give you a wide range of opportunities. Here are some ideas that will suit your curiosity! Floating desk designs offer the advantage of mobility. 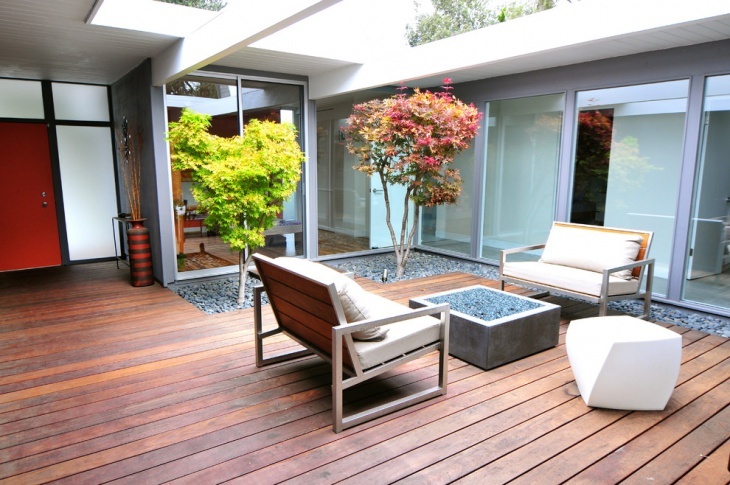 Depending on the weather, you can choose to place your deck on any part of your yard. It could be under the oak tree or at a vantage point that gives you a panoramic view of the landscape ahead. Put in a few chairs, a small table and conversations find its way. 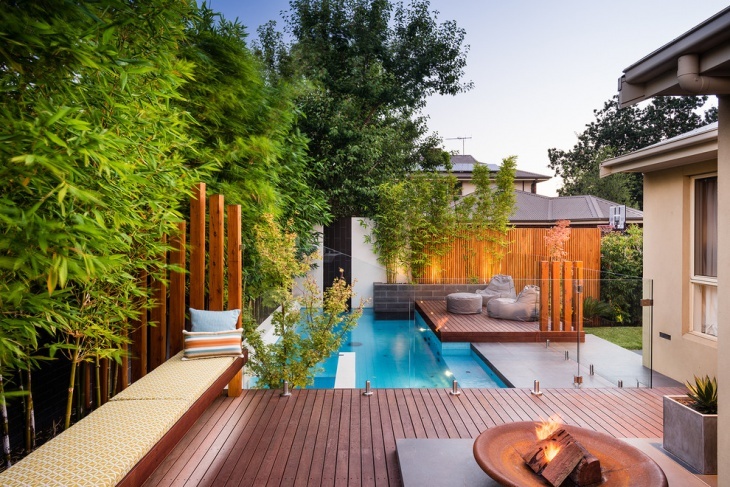 In this case, the floating deck has been placed over a water body – not really a swimming pool but a private pond. 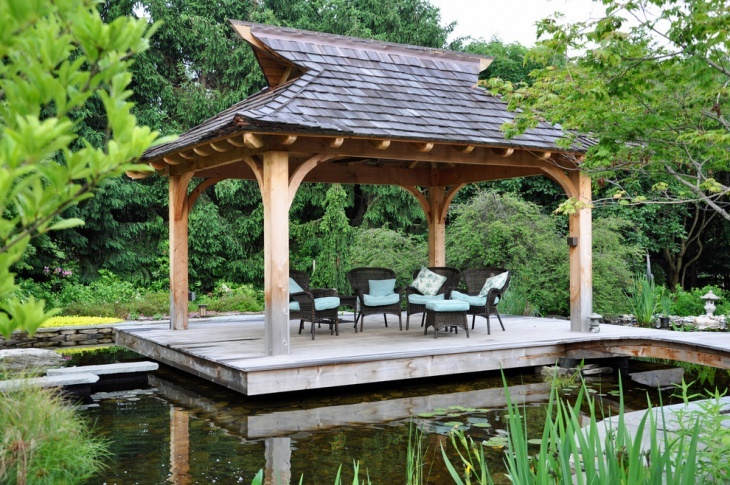 You can create a romantic setting by adding a pagoda type roof above the deck. Make it lightweight to make the whole structure flexible. Having big trees around too helps – not only to stand guard against the weather but also to create a private ambiance. 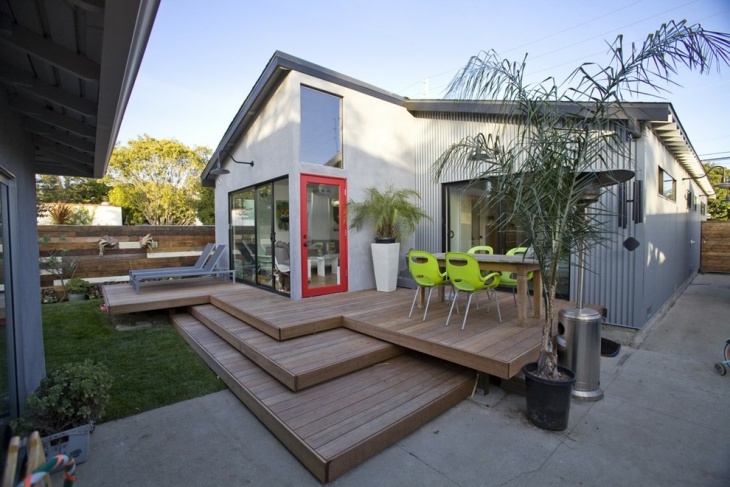 In this example, the floating deck has been immaculately deployed immediately outside the house. 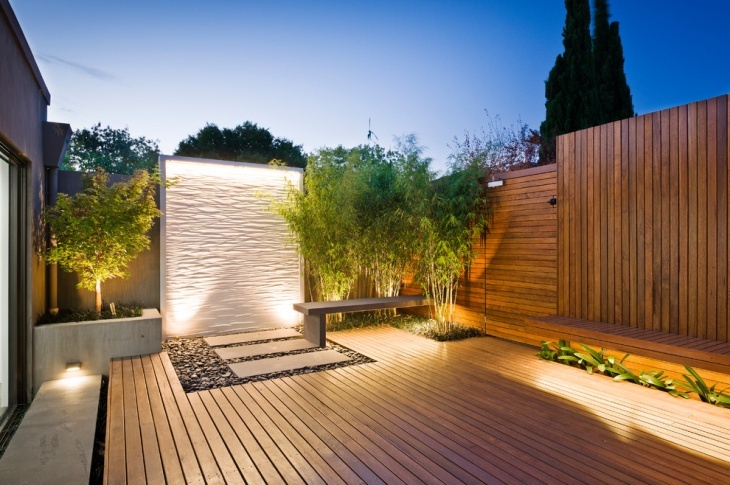 If you have a backyard that leads to a small garden or lawn, you can choose to build a floating deck. Just make sure you are using weather resistant materials. 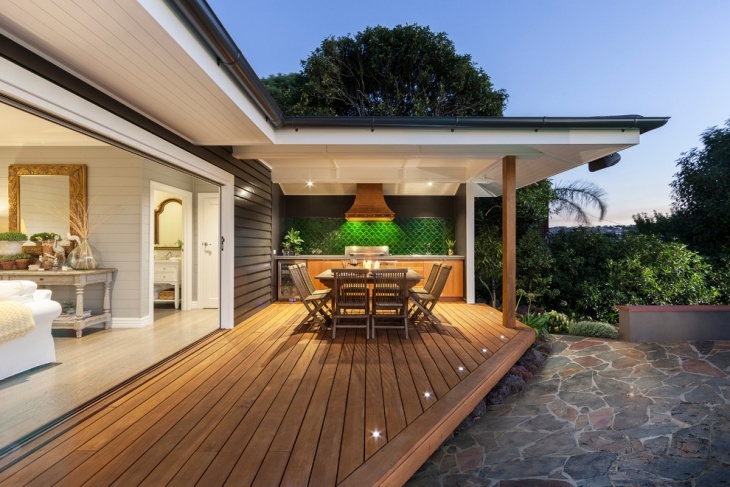 Same as above, the shape of your floating deck depends on the structure of your property and the amount of space you are looking to over with the floating deck. It will easily become the favorite part of the house for your kids and pets. Well, you too can enjoy some wine and laze around in weekends. 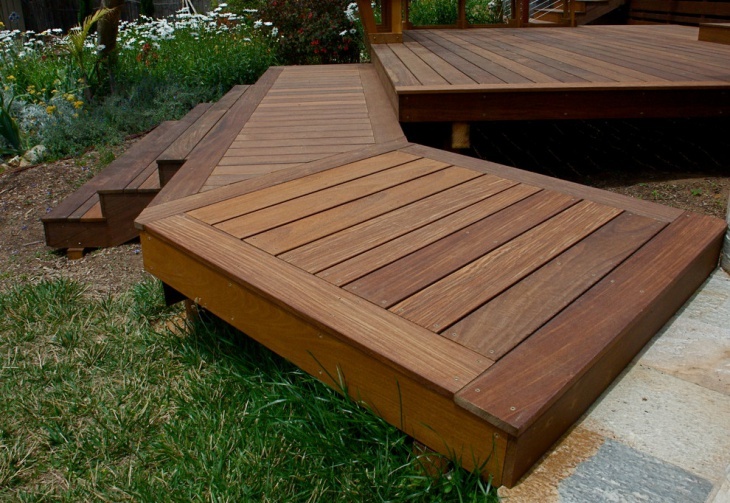 As opposed to steps, you can create a unique design by placing different levels of decks to guide you to the highest platform. 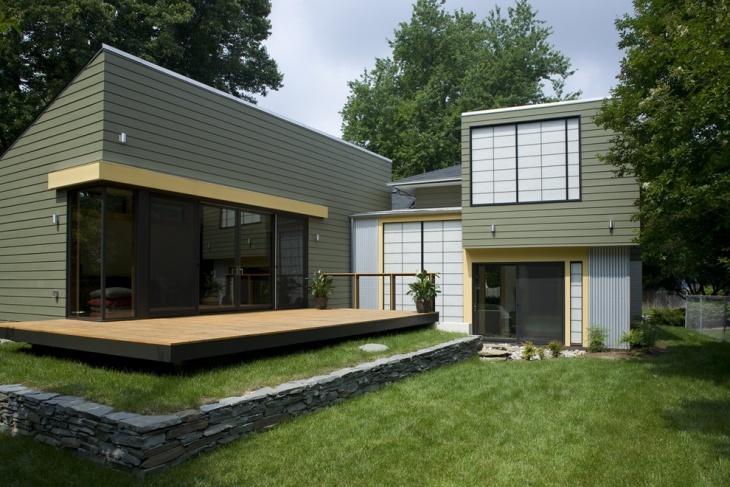 This design can also be beneficial if you are looking to create separate areas on your floating deck. 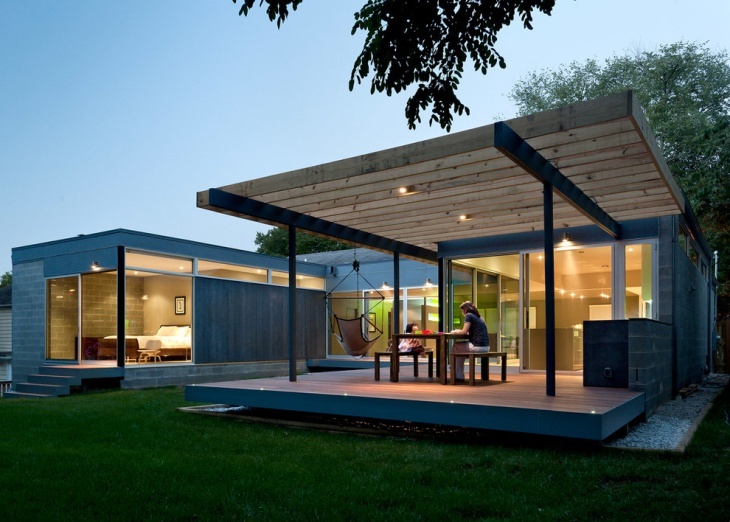 A floating deck design can also be rightly integrated into the structure of your house, as shown beautifully in this example. 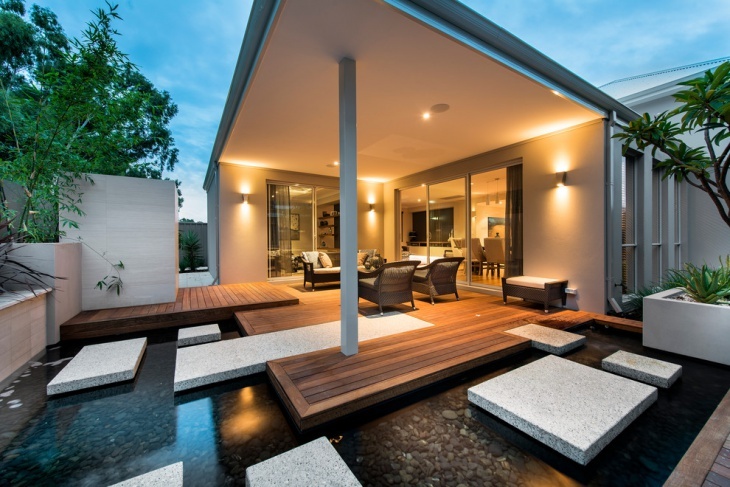 If you have the privilege, the floating deck can also become the mid area between the living room and your private pool. 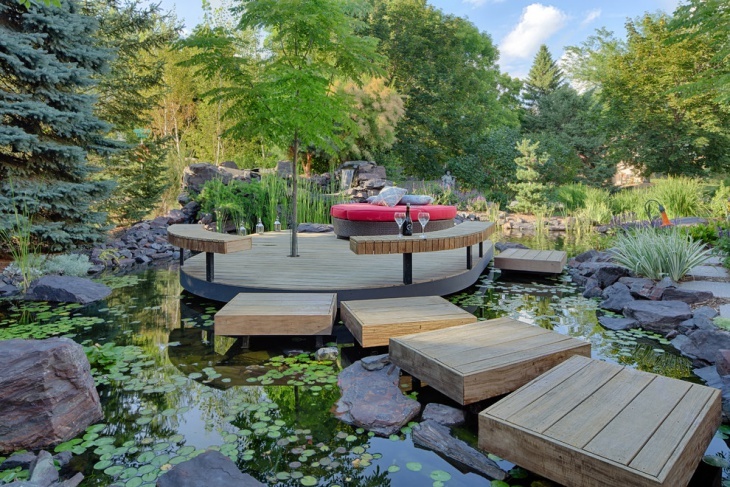 If you have a private pond or water body at the backyard, a floating deck such as this can be an amazing investment. Here, you don’t just have a floating platform above the water but also floating steps that lead to it! Fish in it or just sit at the end, put your legs into the water and read a book or drink a beer! 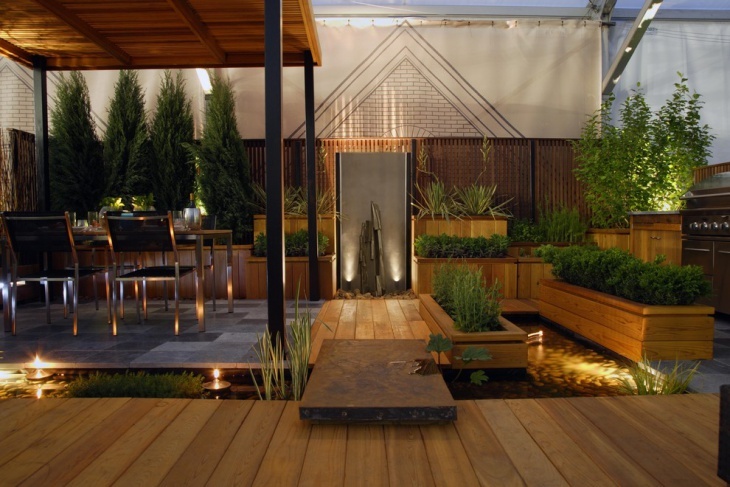 A floating deck roof can also be installed with a small garden and with time, the installation will turn into a natural green ceiling! 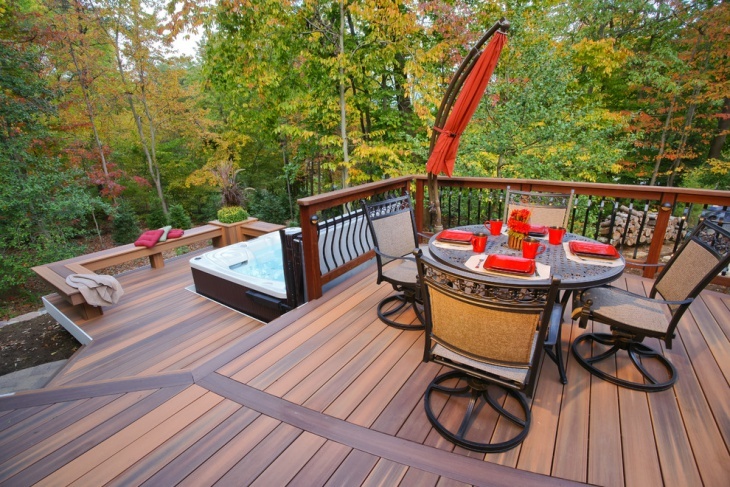 Loved our ideas for floating deck? 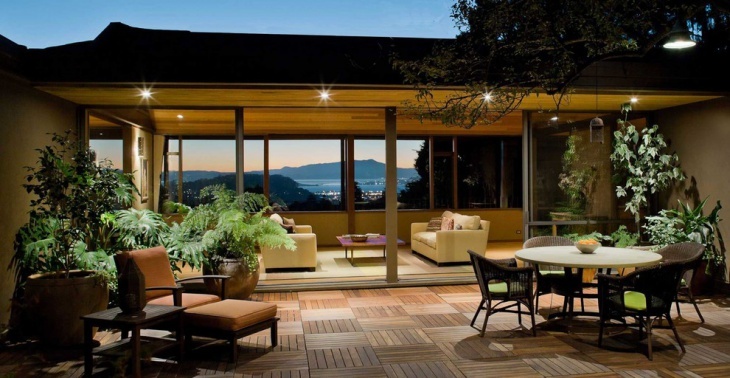 You can choose bamboo or any kind of durable wood to make one yourself. 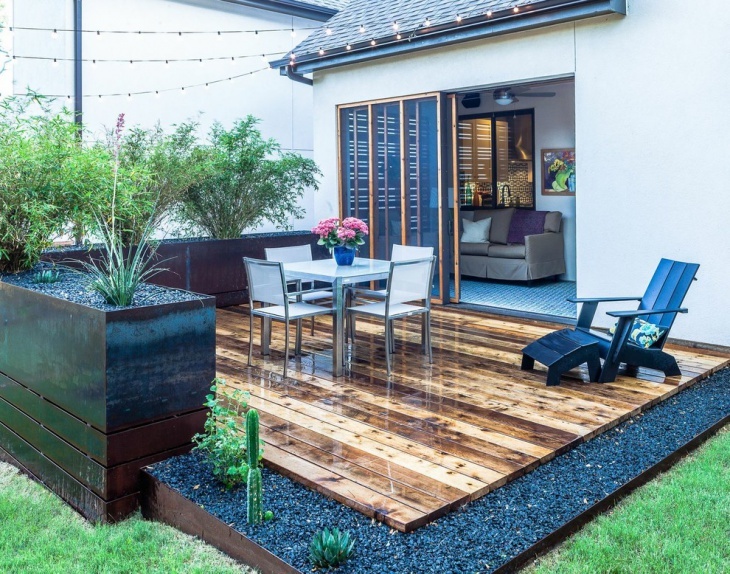 Do share pictures when you are all ready to laze in your own floating deck!